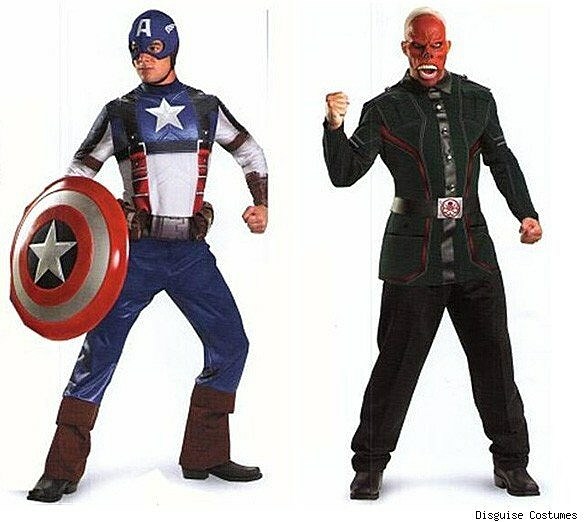 Just in time for, well, summer, the good people at Disguise have released photographs of their licensed costumes based on those seen in the Marvel Studios films Thor and Captain America: The First Avenger. 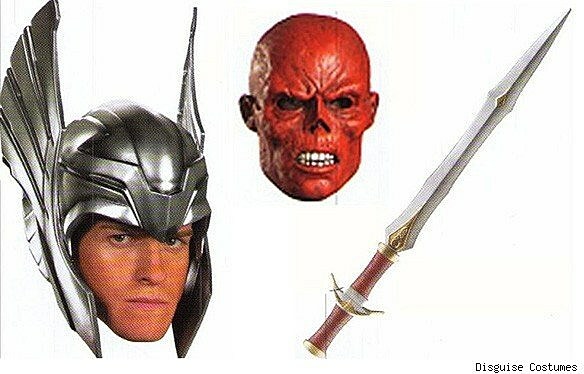 While they offer both children and adults versions of the Red Skull and Cap (shield not included! 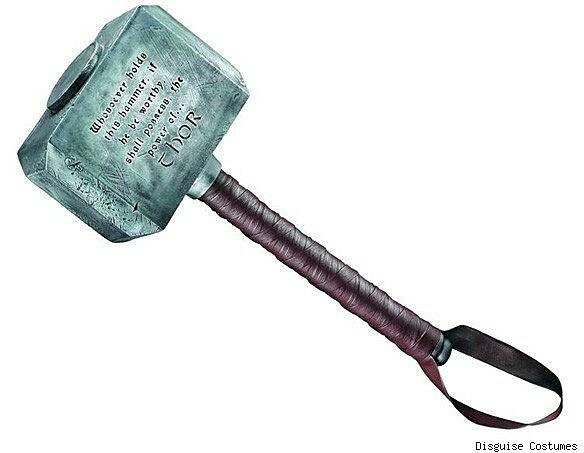 ), apparently the Thor line -- which includes the god of thunder himself along with Loki and Sif -- is for grown-ups only! Perhaps they don't want little boys swinging expensive prop hammers around and hurting each other, or little girls dressing like Sif. 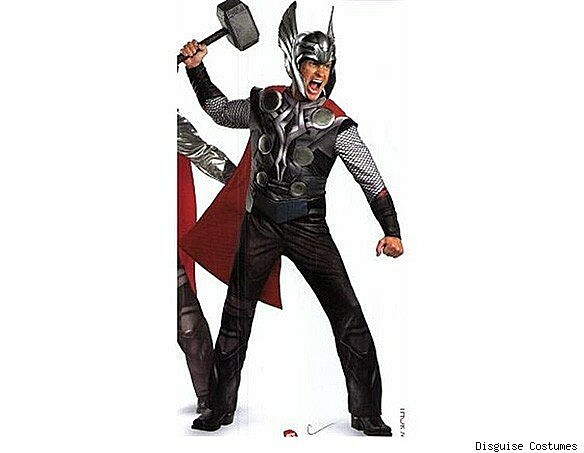 But we're not surprised because, as demonstrated by the cancelation of Marvel's Thor: The Mighty Avenger, Thor is not all-ages (hisssssss). 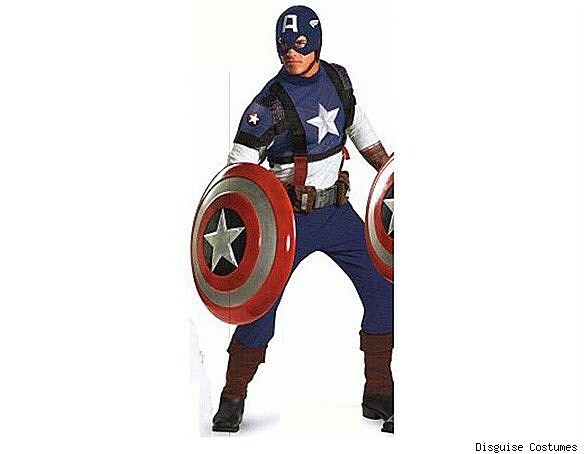 Release dates don't seem to be available yet, but you can pre-order the costumes now at BigBadToyStore.com. 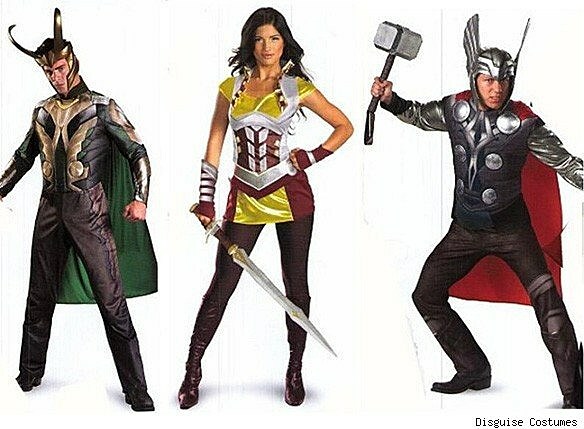 Check out the costumes after the jump.